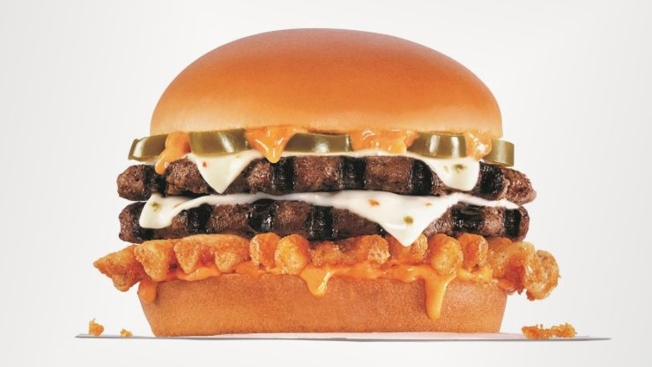 Carl’s Jr. is adding something special to its signature sauce. The restaurant will test a CBD-infused burger at one of its Denver locations for one day only: April 20, the unofficial holiday for cannabis enthusiasts. The limited-time offer makes Carl’s Jr. the first national fast food chain to add CBD-infused food to its menu. In another nod to the marijuana holiday, the burger will sell for $4.20. The burger chain’s Rocky Mountain High: CheeseBurger Delight features two beef patties, pickled jalapenos, pepper jack cheese, waffle fries — and about 5 milligrams of hemp-derived CBD extract in the burger chain’s Santa Fe Sauce. CVS CEO explains why the company decided to sell CBD products in select stores from CNBC. Proponents claim that CBD, a non-psychoactive compound found in hemp and marijuana, can help with anxiety and pain relief, among other ailments, although little scientific research has been done to back up those assertions. There is also a lack of agreement about dosage, particularly when CBD is added to food. Compared to its close cousin marijuana, hemp contains less THC, the psychoactive chemical in cannabis. So Carl’s Jr.’s burger is unlikely to get you high. Most products that contain CBD became legal in December when President Donald Trump signed the farm bill. However, chefs eager to cook with the ingredient have had to operate under the radar because the Food and Drug Administration prohibits adding CBD to food and beverages. The agency will hold its first public hearing next month to decide how it will regulate CBD. In the meantime, local health departments across the country, from Los Angeles to New York City, have been cracking down on restaurants that sell on CBD-infused food and drinks. The choice to debut the burger in the Mile High City is no mistake. Colorado was one of the first U.S. states to legalize recreational marijuana. As a result, cannabis is one of the state’s fastest growing industries. Last year, the state’s medical and retail dispensaries sold $1.55 billion of marijuana, according to Colorado’s marijuana sales report. The limited-time offer not only puts Carl’s Jr. ahead of the competition but also on par with those in fine dining chasing the craze. Professional chefs named CBD- and cannabis-infused food and beverages as the top food trend for 2019 in a National Restaurant Association survey. Carl’s Jr. might be willing to take the plunge because unlike McDonald’s, Wendy’s or many of its other rivals, the chain is not publicly traded. Roark Capital Group, the same private equity firm that owns Sonic, Arby’s and Buffalo Wild Wings, also owns Carl’s Jr.